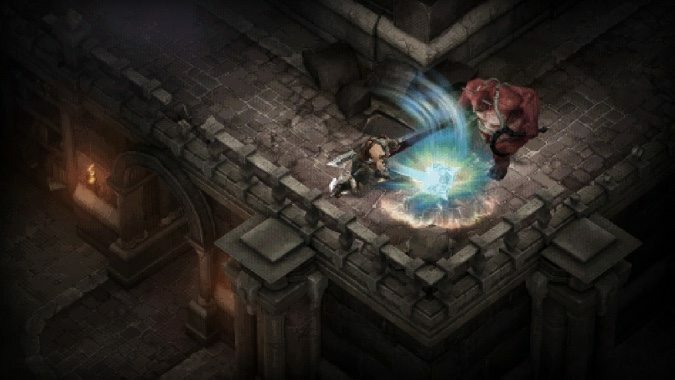 Diablo 3’s Darkening of Tristram event, which sends you back to the olden days of Diablo 1, is a real blast from the past. For those of us who played the original Diablo, it’s a fest of nostalgia — and for anyone who didn’t, it’s a crazy look back at the games of old. But if you’ve been meaning to play, you only have a few more days to do it, because the event wraps up on January 31 at 4PM pacific. If you’re not sure where to start, head to the Old Ruins waypoint in act 1 and follow the road to Old Tristram. There you’ll find a classic style portal that leads you to the classic version of the town, where you can experience Diablo 1 in all of its low-rez glory. It doesn’t matter what level your character is: all are welcome! The event is packed with achievements — including An Eerie Red Glow Blurs Your Vision, which rewards a frankly terrifying baby Butcher pet if you play through the event starting with a level 1 character. If you’re interested in snagging achievements before the event ends, check out this rundown of achievements on the forums and this video guide to getting a baby Butcher of your very own. And if the Darkening of Tristram doesn’t interest you at all, there’s always Season 9 to play. The game’s latest season kicked off early this month, and there’s still plenty of time to level up a new character and snag the latest rewards and achievements.